What is it about a crappy day of eating that makes you want to start fresh the next day?! 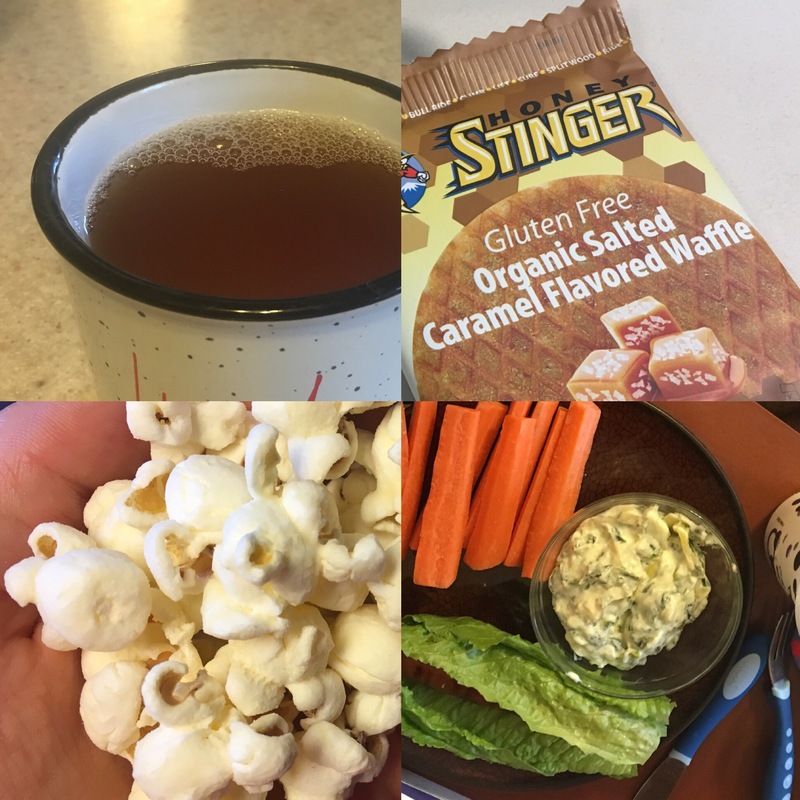 Yeah, I started my Monday off on the right foot…and then I was majorly derailed by mid-afternoon… Well, that didn’t work – and who wants to see the crap I ate that day?! I know I don’t want to show you… ha! I was able to wake up EARLY and take my thyroid pill, but since the weather was questionable with lightening within 10 miles of us, I didn’t get up to go run. 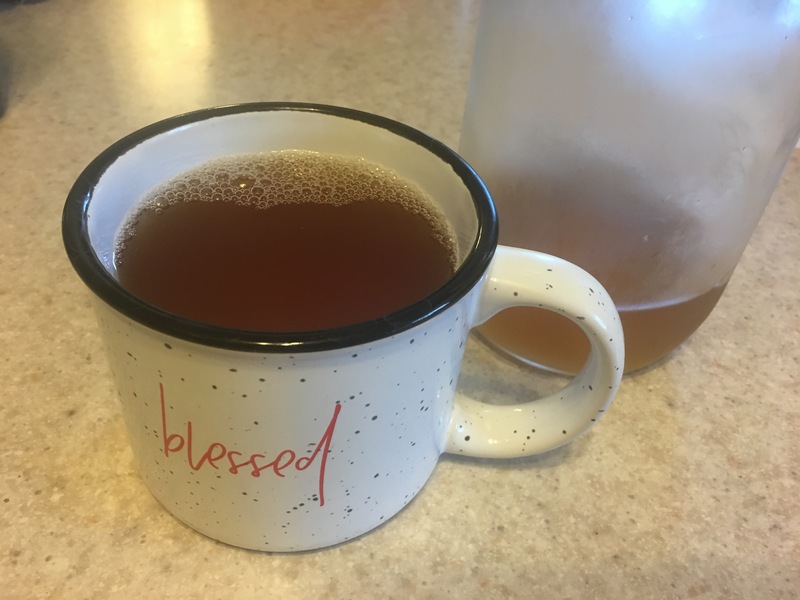 Instead, I opted to stay in bed longer 🙂 I started my morning with a nice glass of kombucha before heading off to work. Since I missed my morning run, I waited out the storms and took an early lunch run. I wasn’t about to head out into the heat and humidity on an empty stomach (even though I do on any typical 5:30am running morning). 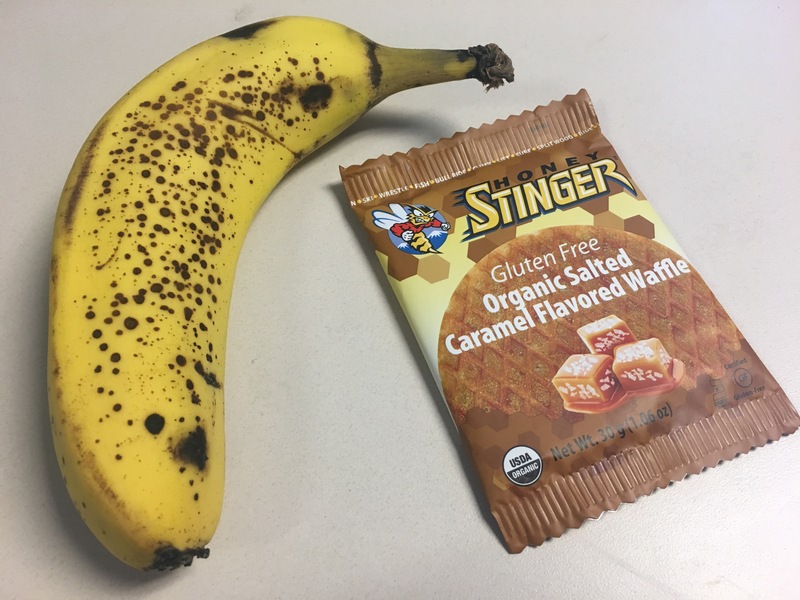 I have been up for more than few hours now, so I was getting hungry – a banana and waffle (thank you HS lady at the Lincoln expo for treating the pacers to some HS goodies) hit the spot and gave me a little extra energy to take on the trails! A fresh lunch to keep my day on track! 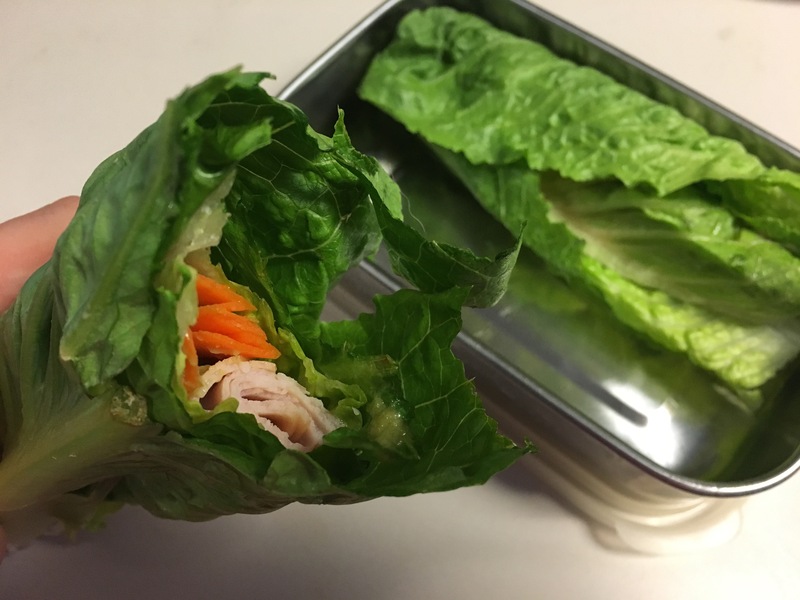 These romaine lettuce wraps are super simple to make and you can pack them with lots of goodies! I forgot to add tomatoes and cucumber before packing them away, but they are still great! 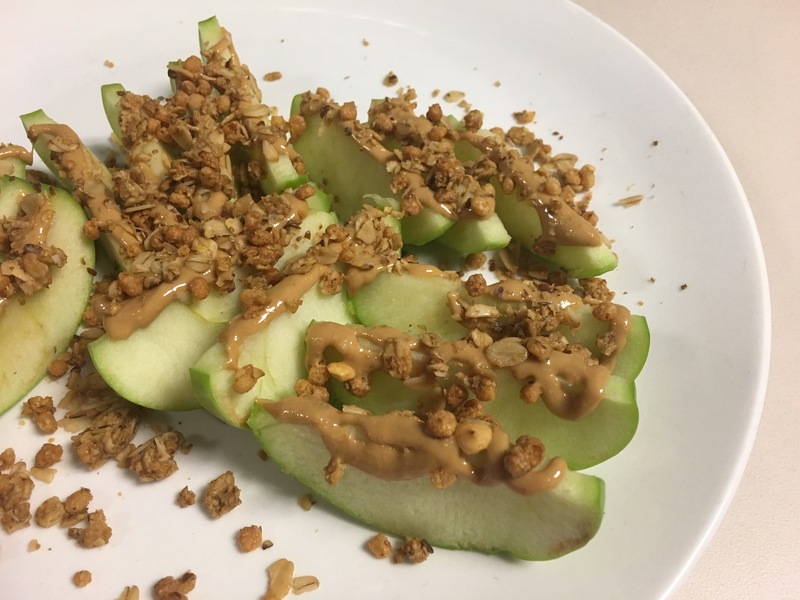 I am a sucker for apples and almond butter – I eat it at least once a day most days! I have been mixing it up a bit lately. 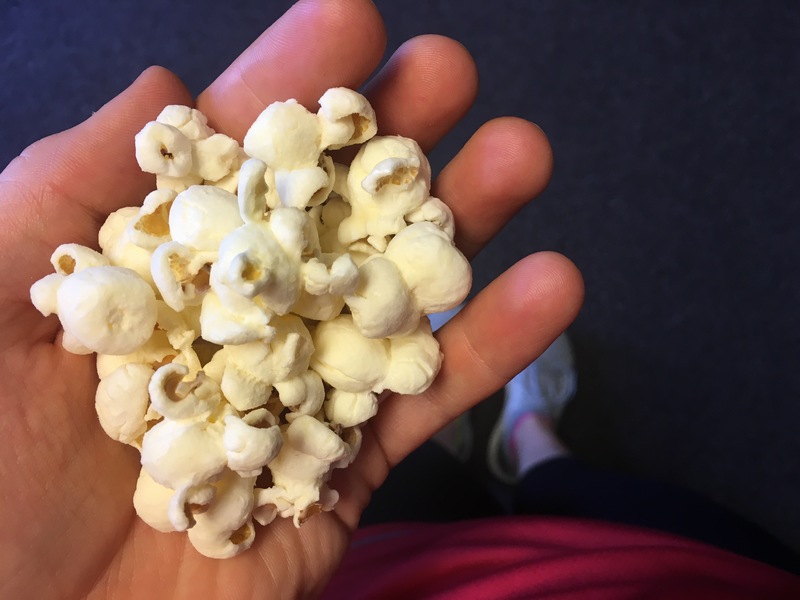 After a work meeting, I noticed a fresh bag of popcorn…so I grabbed some – no, I wasn’t necessarily hungry, but my snacking brain went a little overlaod… Oh well. The hubs was craving some spinach artichoke dip…so he made up a BIG batch of it. 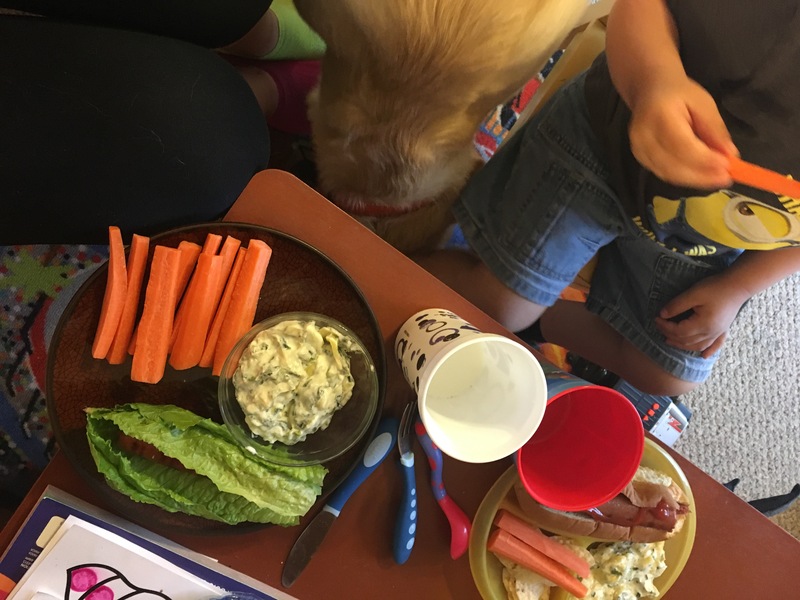 Rather than eating it with chips (like the boys), I paired it with carrots – so good!! 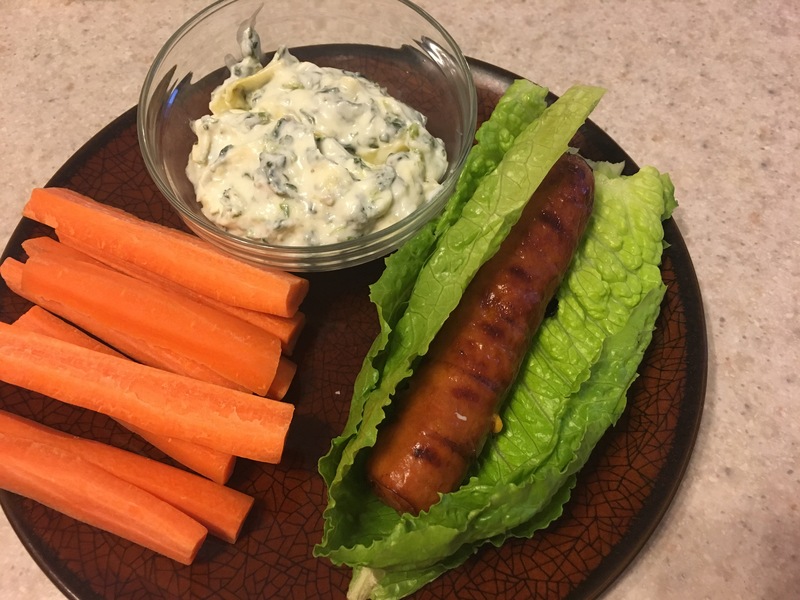 Also, I subbed the hot dog bun for romaine lettuce – win! I love apples + nut butter but I haven’t added granola to the mix! YUM!